How to make the easiest cabbage, in your Instant Pot! 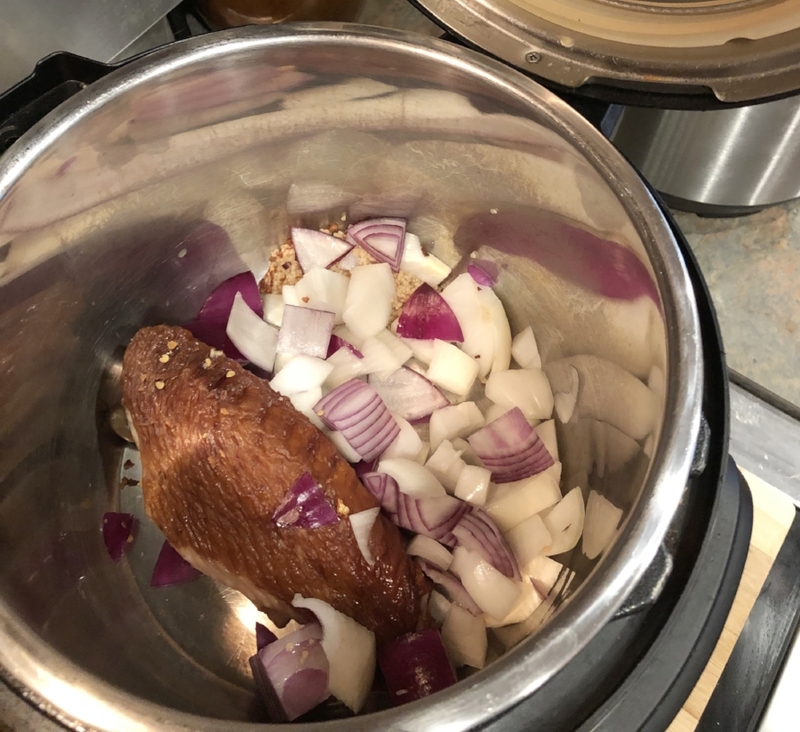 There are so many things I love about my Instant Pot. How if I forget to thaw meat out I can still cook for my family relatively quickly. The thing that I love most is cooking frozen or raw vegetables. The IP cuts the time down tremendously on these. My Momma and I put up lots of field peas every summer and it normally takes about 45 minutes on the stove to cook them from frozen. In the IP, it only takes about 15 minutes. This is what makes the IP great for those trying to eat healthy. You can steam veggies or cook them faster than normally making eating fresh a whole lot easier. Cabbage is a family favorite but it too also takes a while to cook and I usually have to watch it very close to keep it from boiling over. Not with my good old IP! Simply add in the flavor profile of ingredients you want and set it and it does all of the work. 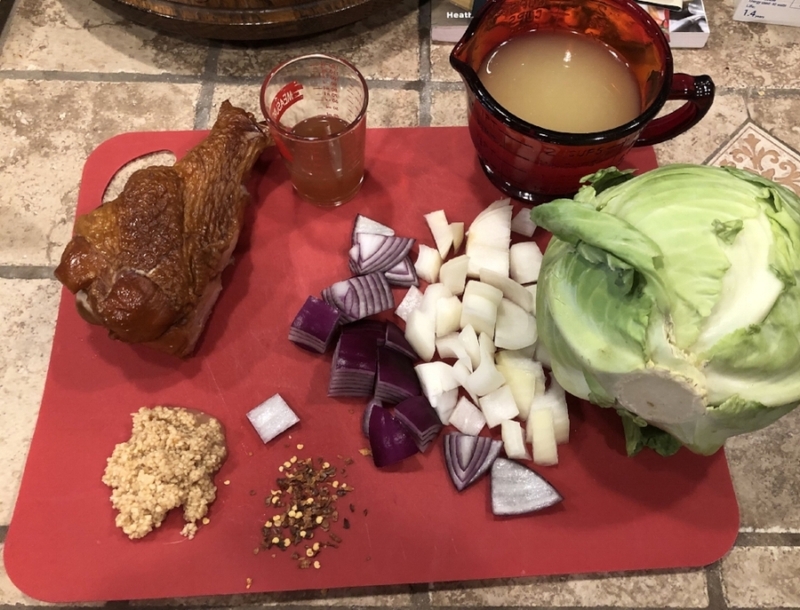 Here is a favorite recipe I developed that makes for some really good cabbage!! When I tell you how to cook this, I really have an issue with saying “cooking” at all. It really is all prep work. The IP does all of the cooking. That is another reason I love my IP, it makes me look like an expert cook. And it will you too! Chop onions and cabbage and have all ingredients ready. Add onions, garlic, salt pepper, red pepper, turkey leg or wing and broth to pot. Place chopped cabbage on top, careful to not over fill. I press mine down a bit. Close the lid, seal the valve and set to manual or pressure cook for 30 min. When the time is up, let it NPR or natural pressure release for about 5 minutes, release what pressure is left by carefully opening valve. Open and remove turkey leg or wing. Take the meat off of the bone and place meat in with cabbage. Add the apple cider vinegar and stir. I usually let mine sit a few minutes after adding the ACV but they are ready to serve immediately if you wish! 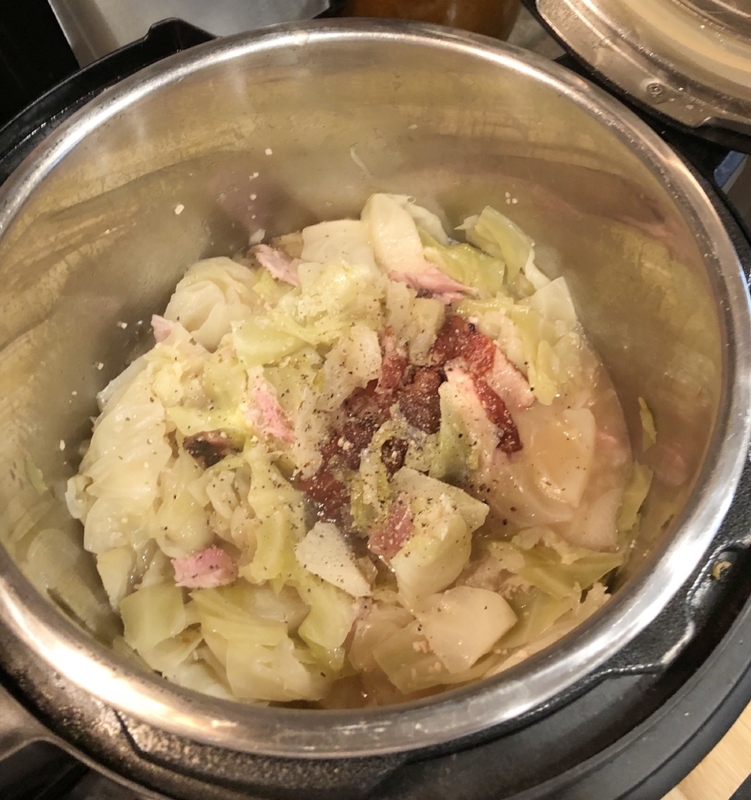 I hope you will make this wonderful cabbage so you can also see the ease of cooking fresh veggies in the Instant Pot. If you are a new IP user, cooking vegetables is one of the easiest ways to get familiar with using it. As always, leave me a comment and let me know if you made this wonderful side dish!! 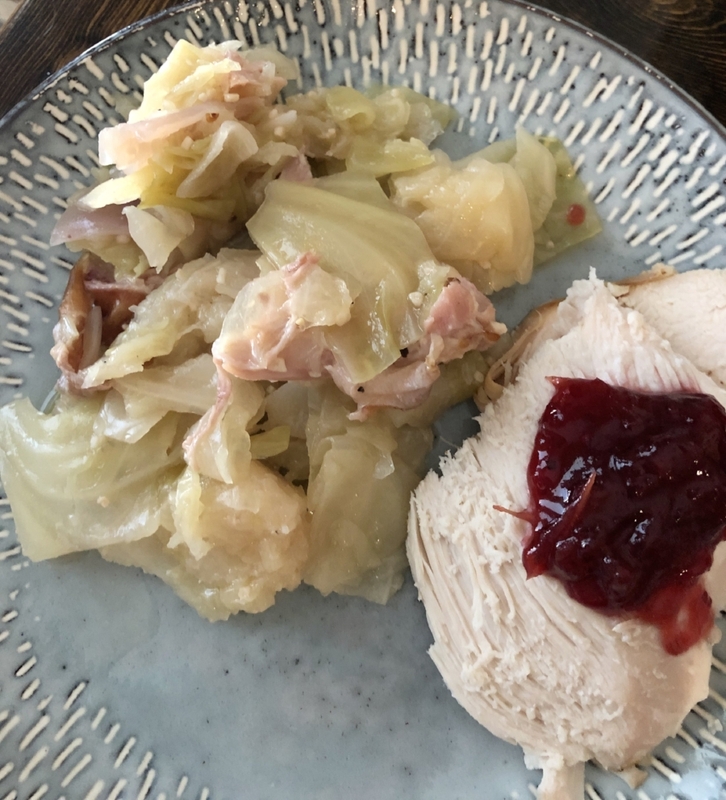 Cabbage made flavorful and easy using the glorious Instant Pot. This cabbage is so easy and so good, you will be making fresh cooked cabbage even on a weeknight!